Tottenham have found themselves in a bit of a rut in recent years. Either side of their sole taste of Champions League football, they have become accustomed, whether through lack of ability or circumstance, to just coming up short. With this in mind, there is every chance that the wholesale changes which the club seem to have initiated this summer may prove to be a wise move. With no disrespect to former Tottenham managers, Spurs have finally got the sort of committed, passionate and analytical manager in Andre Villas Boas, that should help the club reach the next level. 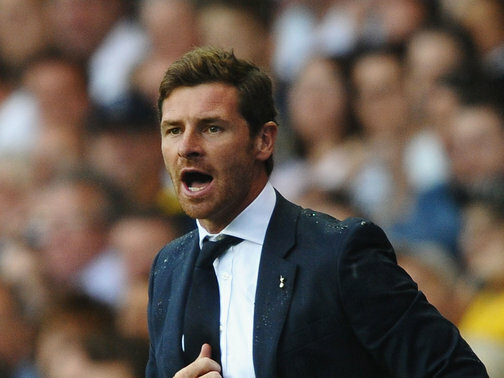 AVB didn’t hesitate to return to Premier League football despite a tumultuous and short lived spell at Chelsea. The patience and resilience he showed as Tottenham manager last season is a sign that he learned from that experience, and the loyalty he displayed this Summer in the face of interest from Paris Saint Germain proves that Tottenham have a manager who is determined to see them reach the next level. Just like Brendan Rodgers, Villas Boas served his coaching apprenticeship at Chelsea during Jose Mourinho’s first spell in charge. Having briefly served as manager of the British Virgin Isles as a 21 year old, AVB’s first job in club management came in the form of Academica. Bottom when he took charge, Academica finished the season in the safety of mid table with a good cup run behind them. This was enough to convince Porto to gamble on the young manager and they reaped the rewards. In his first and only season at Porto, Villas Boas led them to an unbeaten season in the league, claiming the title in the process, along with winning the Portuguese Cup and the Europa League. From here, the next stop was Chelsea, where in trying to change too much too soon, he fell out with many senior players and lost the dressing room. This time around, he has approached rebuilding a lot more sensibly. Doing very little to disrupt the players in his first season at White Hart Lane, he built a strong rapport with many of them, particularly Gareth Bale. Now, as he enters his second season, change is rampant as his team begins to take shape. The real test is now on the horizon. Without a shadow of a doubt the best player at Tottenham is currently Gareth Bale. If Bale remains a Spurs player for the duration of the season, expect more of the brilliance we saw last season, but as currently it looks as though there’s every chance he may leave, others need to come to the fore. The man who will likely be tasked with a significant chunk of Tottenham’s goalscoring load, whether alongside Bale or without him, is their new club record signing, Roberto Soldado. Soldado arrives in London from Valencia with a £26m price tag on his head. A consistent goalscorer in La Liga for the last 5 years, Soldado scored his personal best of 24 league goals last season. Can he repeat that form this season though, and in the Premier League? If Soldado can score over 20 league goals this campaign it could potentially transform Spurs fortunes, but I think that’s a big if. If we take last season out of the equation, Soldado has averaged 16 league goals a season over the previous 4 years. If last season does turn out to be an anomaly for Soldado, £26m is an extortionate amount to pay for a 28 year old without any real standout attributes. No one could argue that if Jermain Defoe was given a full season as a starter that he wouldn’t achieve a 15 goal tally, so the signing of Soldado is definitely a gamble. 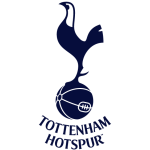 The plus side for Spurs fans is that their team is now taking these gambles, and there is alway the chance that Bale and Soldado could pair up to score 20 goals each. Whether Bale (pictured above) stays or not I think Spurs are still likely to finish just outside of the Champions League places. This isn’t because they aren’t good enough to compete for the title, but because with so many changes being made at White Hart Lane it will take the team some time to grow together. So far this Summer, as well as Soldado, Spurs have added Paulinho (pictured below) and Nacer Chadli, with Etienne Capoue and Christian Atsu expected to join them in the coming days. With a clear out of numerous players who have been at the club for quite a long time, there is a very different outlook at Tottenham now. The squad is now much younger and more dynamic with these players joining the likes of Lloris, Vertonghen, Dembele and Holtby. If Spurs can hold onto Gareth Bale, they have a squad which could well be ready to mount a proper title charge in 12 months time. While even if they sell him, £100m is a club changing amount of money. Either way I have an inkling that if Spurs fans have to endure another season of near misses, it could be the last one like that for a while.